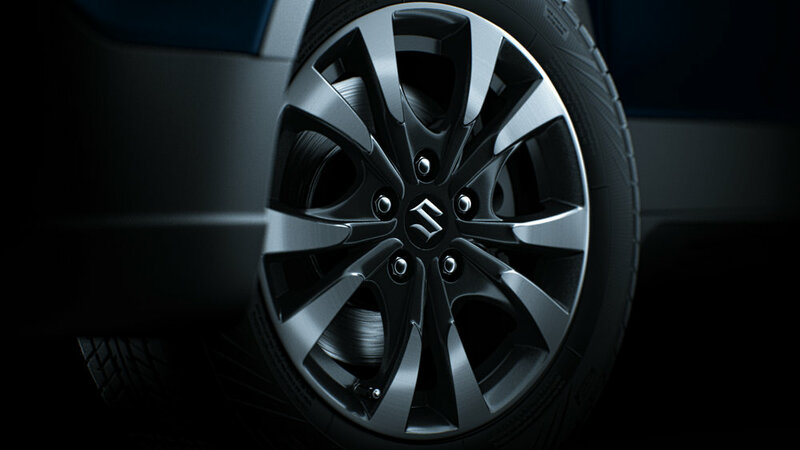 WEAREFLINK teamed up with agency Hakuhodo India and Mumbai based production company Matchbox Picures to create the Suzuki S-cross 2017 TVC. A carefully crafted blend of high end CG animation to illustrate the new features and parts of the car combined with dynamic and bold live action shots, turns this spot into an exciting visual experience. The TVC emphasizes on two visually and contextually different segments. The first being the highlighting of the facelifted parts of the S-Cross 2017 in a creative, playfull and beautiful fashion up to the point where the car leaves a garage and secondly shooting stunning images featuring the car in different environments promoting its strengths. The spot starts of with a series of close up shots of liquid chrome eventually transforming into the front grill of the car to symbolize strength and stability. Next up an ocean of sparkling diamonds form the beautiful DLRs and Headlights, followed by the razor sharp, claw like design of the alloys. A sequence of gently flowing electric currents for the powerful SHVS engine leads into the live action part in which everything we have seen translates into an exciting driving experience on the street and soft roads. The quality and detail of the rather artistic and abstract images leading into the full reveal of the facelifted parts needed to match the design language and flow the real car.